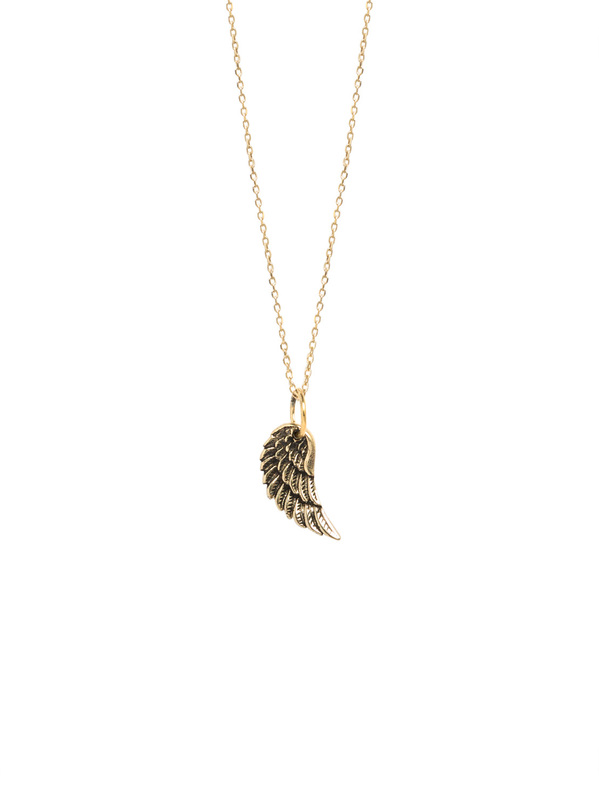 This tiny gold angel wing measuring 1.5cm in length is an addition to our signature wing range which continues to be so popular. It hangs on a sterling silver chain which has been plated in 23.5 karat gold and has three different length options, ranging from 40cm to 50cm. Making it ideal to layer with other necklaces from this range.